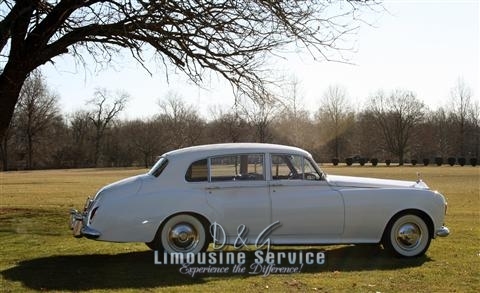 The Rolls Royce Silver Cloud is one of the most exquisite cars manufactured and the perfect Wedding Limo option. 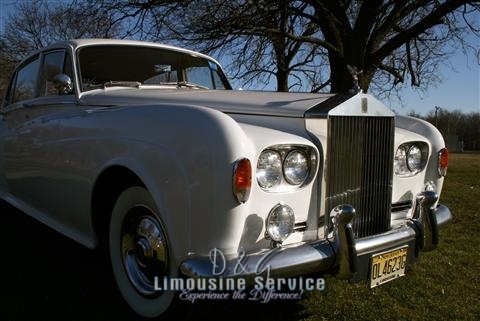 The Rolls Royce limousine is what people look for when shopping for the very best in a luxury limo rental. 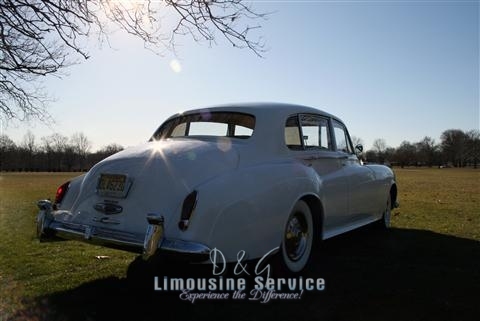 This classic motorcar is available for wedding service and romantic date nights. 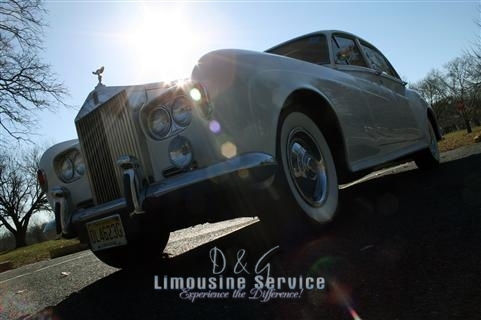 D&G is proud to offer the only LONG WHEEL BASE edition in NJ – What does that mean? 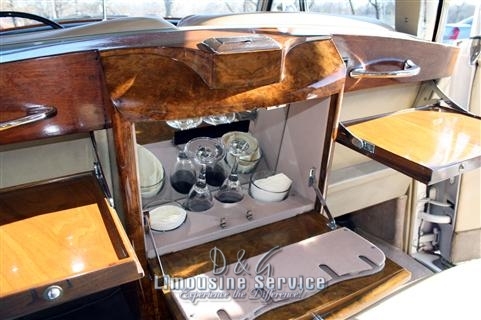 This classic limousine has a extra room in the back seating compartment. 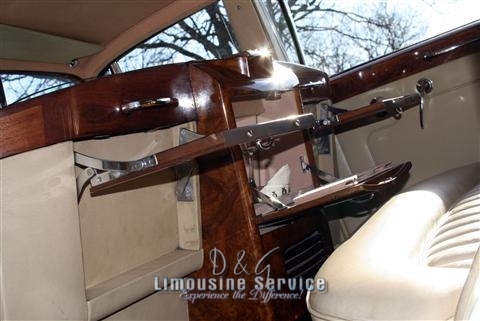 Plus it is the only one with a glass privacy partition and champagne holder in the center rear console!